The intelligent motor controller market is projected to reach a size of USD 857.6 Million by 2021, at a CAGR of 5.48% from 2016 to 2021. The report segments the intelligent motor controller market on the basis of major end-user industries into oil & gas, water & wastewater, power generation, food & beverage, metals & mining, chemicals & petrochemicals, cement & aggregates, pharmaceuticals, and others. The water & wastewater industry is projected to be the fastest-growing segment in the intelligent motor controller market during the forecast period. Rising urbanization and increasing pressure on efficient use of existing water resources and reuse have led to growing investments in the water & wastewater industry across the globe. In terms of motor type, AC motors are estimated to constitute the largest & fastest-growing segment in the market. 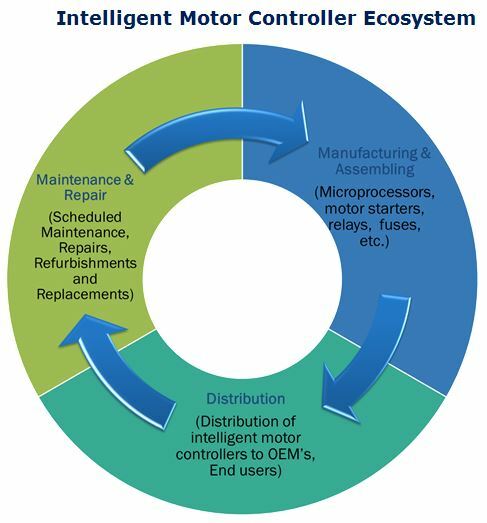 The demand for intelligent motor controller for AC motors is higher than that of other motor types. These motors are expected to dominate the market during the forecast period. AC motors due to their low cost, robust construction, and compatibility to almost all applications within the industry are used the most within the industrial segment. In terms of voltage, the report has been segment into low voltage and medium voltage segment. The low voltage segment is the largest market for intelligent motor controllers. Preference for intelligent motor controllers is higher in the low voltage segment when compared to the medium voltage segment. Most applications in the low voltage segment are fixed speed applications; intelligent motor controllers are cost-effective solution for motor control and protection as compared to other alternatives. 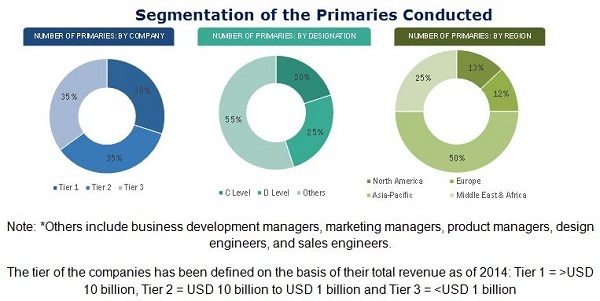 In the market, based on application, the pumps segment occupies the largest share in the intelligent motor controller market because majority of industrial motor driven applications involve pumping.. Other major applications include fans and compressors. 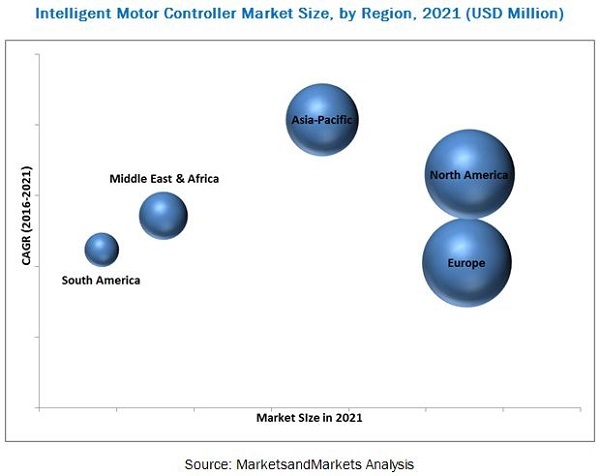 Europe led the market for intelligent motor controller in 2015, owing to higher adoption of smart devices in the region. Industries in North America are currently focusing on developing existing infrastructure and are adopting smart motor control devices for better control and higher energy savings. The U.S. is expected to be the fastest growing market in the North American region from 2016 to 2021. The figure below shows the market size of major regions between 2016 and 2021 along with the CAGR for the forest period. Prices of the major components required for intelligent motor controller are relatively high, making the overall assembly of the device expensive as compared to conventional controllers. This restrains the growth of intelligent motor controller products despite its attractive features. However, the price difference has little consequence when the process is critical and requires superior efficiency and control. Leading players are trying to penetrate developing economies, and are adopting various methods to increase their market share. New product development was the strategy most commonly adopted by the top players in the market, constituting 50% of the total development share from 2012 to 2015. It was followed by expansions and other developments.